UNABLE TO POST UNTIL FRIDAY 25th JANUARY. 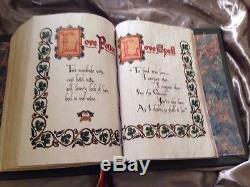 COPY AND PASTE THE LINK ABOVE INTO GOOGLE TO SEE A FLICK THROUGH OF AN OLDER BOOK I MADE. THESE BOOKS ARE PRICED TO SELL! AT A FRACTION OF THE COST OF SOME SELLERS OF THESE BOOKS. PLEASE REMEMBER THESE ARE HANDMADE AND NOT MACHINE MADE. IN MY OPINION YOU WONT FIND BETTER QUALITY FOR THIS PRICE. 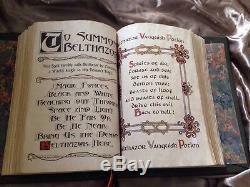 A MUST HAVE FOR ANY CHARMED FAN!! 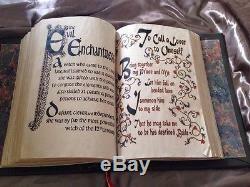 OWN YOUR VERY OWN BOOK OF SHADOWS WITH APPROX 300 pages (front and back) out of the hit tv show charmed. PICTURES MAY NOT BE THE ACTUAL BOOK FOR SALE BUT WILL BE ALMOST IDENTICAL TO THE ONE YOU WILL RECEIVE. PRICE WILL BE INCREASING DUE TO THIS COST OF PRINTING. NOT TO MENTION THE COST OF THE LEATHER. 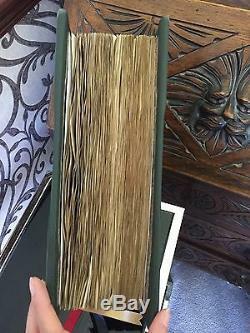 THE PAGES ARE ALL HAND STAINED ONE BY ONE, FRONT AND BACK TO GIVE THEM THAT AGED LOOK AND TAKES MANY HOURS TO COMPLETE THIS PROCESS. 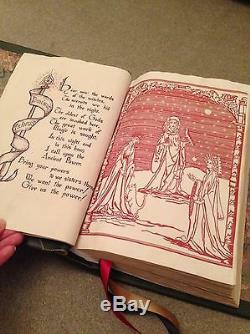 I GET ASKED A LOT IF ALL SPELLS ARE IN THE BOOK AND I ALWAYS ANSWER " MOST OF THEM ARE" AS THERE MAY BE A FEW THAT ARE NOT! 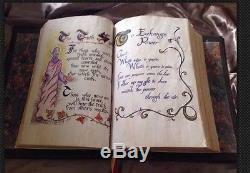 EACH PAGE HAS A SPELL OR PICTURE ON HOWEVER THERE WILL BE SOME BLANK SIDES AS IN THE ACTUAL TV BOOK. 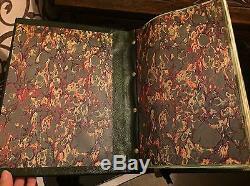 YOU MAY FIND A FEW PAGES HAVE A TEAR IN THEM THIS IS FROM THE STAINING PROCESS AND ADDS TO THE AGING OF THE BOOK. THEY ARE THEN BOUND USING BINDING SCREWS. THERE IS A LOT OF TIME AND WORK THAT IS PUT INTO EACH BOOK. 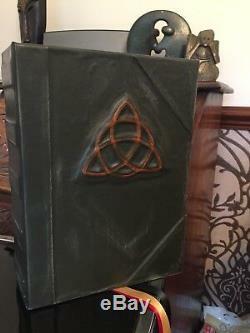 I MAKE THESE BOOKS AS A HOBBY. A GREAT GIFT OR JUST TREAT YOURSELF! NICE FAT CHUNKY FEEL TO THE. 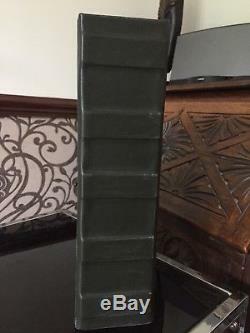 BOOK WHEN YOU HOLD IT. 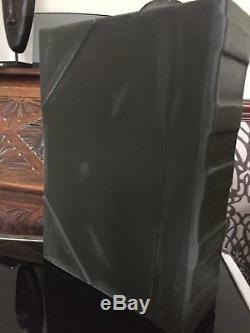 YOUR BOOK WILL BE WELL PACKAGED AND PROTECTED FOR SAFE TRANSIT WHEN POSTING. 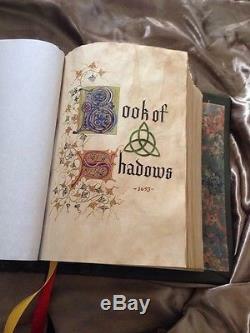 The item "CHARMED BOOK OF SHADOWSREPLICA! 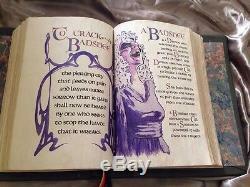 TV WITCHESWICCA PAGAN" is in sale since Monday, January 21, 2019.